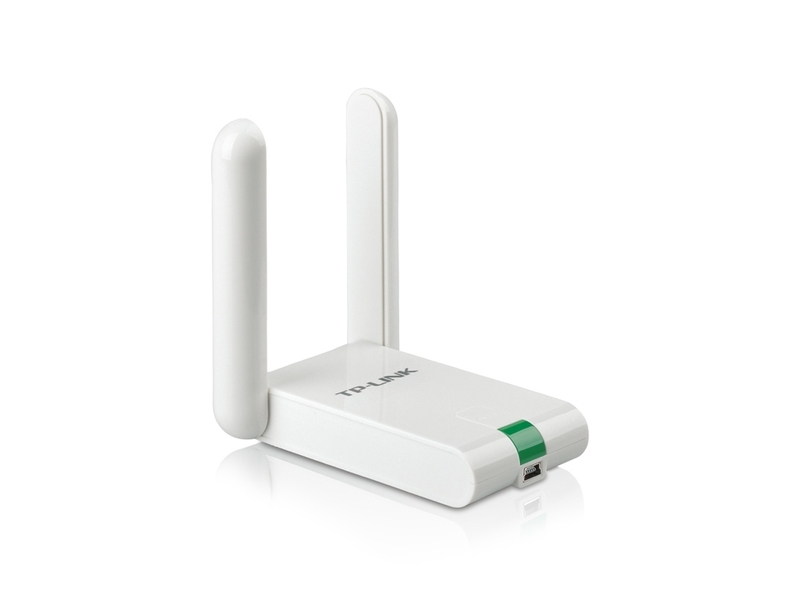 The TL-WN822N High Gain USB Adapter is a 300Mbps wireless client, which allows users to connect a desktop or notebook computer to a wireless network and access a high-speed Internet connection. It is fully interoperable with IEEE 802.11 b/g/n wireless devices, delivering speedy 11n speeds and reliable signal for lag-free online gaming, Internet calls or even HD video streaming. Apart from its fashionable and novel exterior, the TL-WN822N’s desktop-style design is truly beneficial for signal reception in various environments, guaranteeing smooth and stable signals. The TL-WN822N also provides a 1.5 meter USB cable, convenient for installation and flexible deployment. Dual 3dBi external antennas for easy alignment to achieve the best signal.